Birth palce : Mysore, Mysore State, India. Birth Name : Sampath Kumar. Other names : Sahasasimha, Abhinaya Bargava, Kotigobba, Kaladaiva, Bhavashilpi, Karnataka Samrat, Mysore Ratna, Karnataka King. Famous Films : Vamshavruksha, Seethe Alla Savithri, Bhootayyana Maga Ayyu, Onde Roopa Eradu Guna, Bayasade Banda Bhagya, Chinna Ninna Muddaduve, Siritanakke Savaal, Naniruvude Ninagagi, Hanthakana Sanchu, Naaga kala Bhairava, Karmika Kallanalla, Chinnadantha Maga, Indina Ramayana, Madhuve Madu Tamashe Nodu, more. 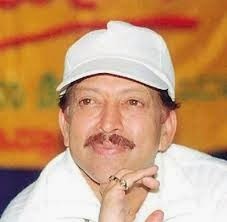 Awards : Filmfare Award South for Lifetime Achievement, Filmfare Award for Best Kannada Actor. 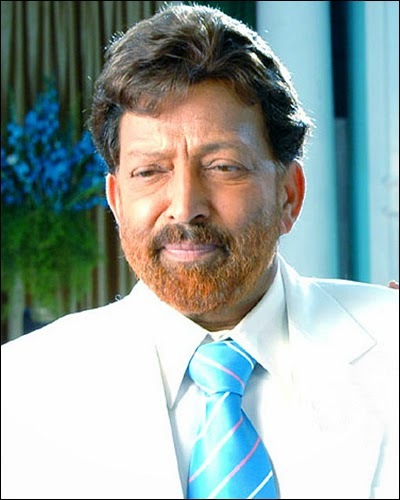 "Vishnuvardhan" was a very wonderful personality throughout his film career he played a tremendous role in all fields such as comedian villan hero drama and also in all types of negative and positive roles. He was very honest to his work. Any of his tremendous films when comes in mind all make us happy sad and proud. All his movies makes him a very huge personality. He always did the full disambiguation with all his roles offered to him. He was also very successfull in both his social and his personal life. His name will remains in golden words always in bollywood history.